This year, the China-US Symposium will take place from April 12th to 13th. The theme of this year’s symposium is “New Frontiers”, dealing with how the US and China can navigate uncertain futures of the world. Check out the descriptions of the panels and lectures. Follow our Facebook page for more timely updates. 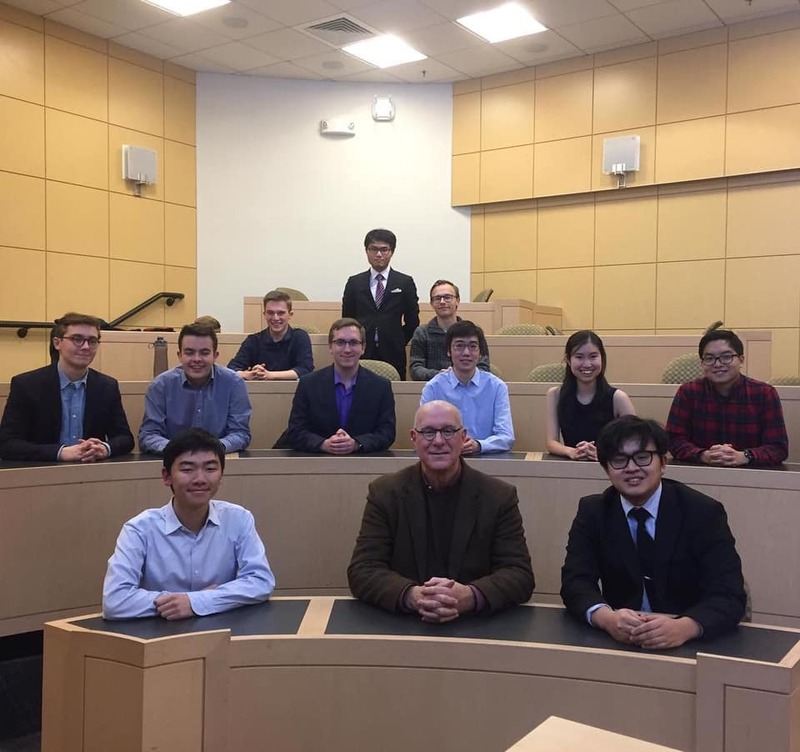 The China­-US Symposium is an annual event held at the Fletcher School of Law and Diplomacy in Medford, MA, organized by Tufts undergraduates. Its goal is to foster positive relations between China and the United States, cultivating cooperation and understanding between students and experts from different backgrounds and cultures. Last year alone, we hosted eighteen experts and scholars from around the world. 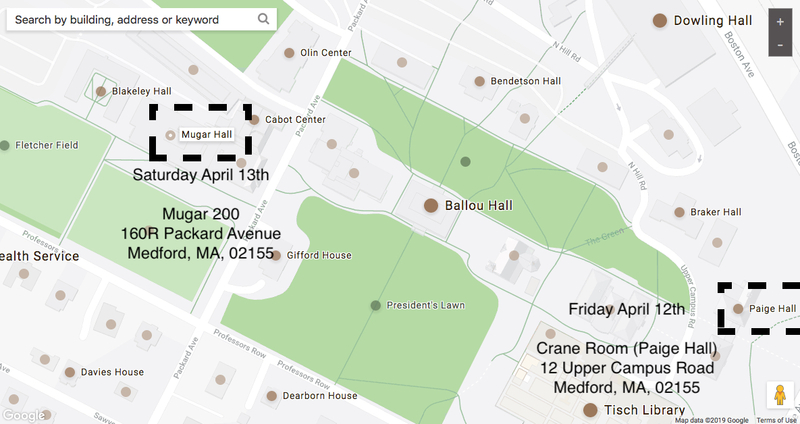 Friday, April 12 Crane Room (Room 113), Paige Hall, 12 Upper Campus Road, Medford, Mass. Saturday, April 13 Fletcher School, Mugar Hall Room 200, 160 Packard Avenue, Medford, Mass. SURGE is pleased to co-host its faculty advisor, Prof. Michael Beckley with the Tufts International Relations Program, for its second fall speaker event of the semester. Prof. Beckley will be speaking about major themes in his new book, “Unrivaled” that was recently published in September 2018. Come join us for an unrivaled night of learning! This year marks the 40th anniversary of the signing of the Treaty of Sino-Japanese Peace and Friendship. On this special occasion, Tufts Sino-U.S. Relations Group Engagement (SURGE) cordially invite you and your organization to our Fall Speaker series to review the Sino-Japanese relationship and its profound implications on the international order. We are honored to have Professor Richard Samuels as our speaker this fall. Professor Samuels is a Ford International Professor of Political Science and director of the Center for International Studies at MIT. He has been head of the MIT Political Science Department, Vice-Chair of the Committee on Japan of the National Research Council, and chair of the Japan-US Friendship Commission. He has also been elected to the American Academy of Arts & Sciences and was awarded an Imperial decoration by the Emperor of Japan and the Japanese Prime Minister. His articles and studies have been published in a wide range of academic journals. His books on Japanese foreign policy, the 2011 Tohoku catastrophe, and Machiavelli have won him a wide range of prestigious awards. The event will be held at 8:00 p.m. on October 18th at Mugar 200. There will be snacks and refreshments provided before the event. Feel free to email us at yuan.chee@tufts.edu or yicheng.zhang@tufts.edu for any questions about this event. Tufts SURGE is a student-run organization at Tufts University. Our goal is to foster positive relations between China and the United States, cultivating cooperation and understanding between students and experts from different backgrounds and cultures. We organize a speaker event every fall semester and a symposium each spring. In the past years, we’ve had a variety of speakers including the Ambassador of Singapore to the U.S. Ashok Kumar Mirpuri, former President Trump’s nominee for Ambassador to South Korea Victor Cha, as well as former Chief Secretary of Hong Kong, Anson Chan. 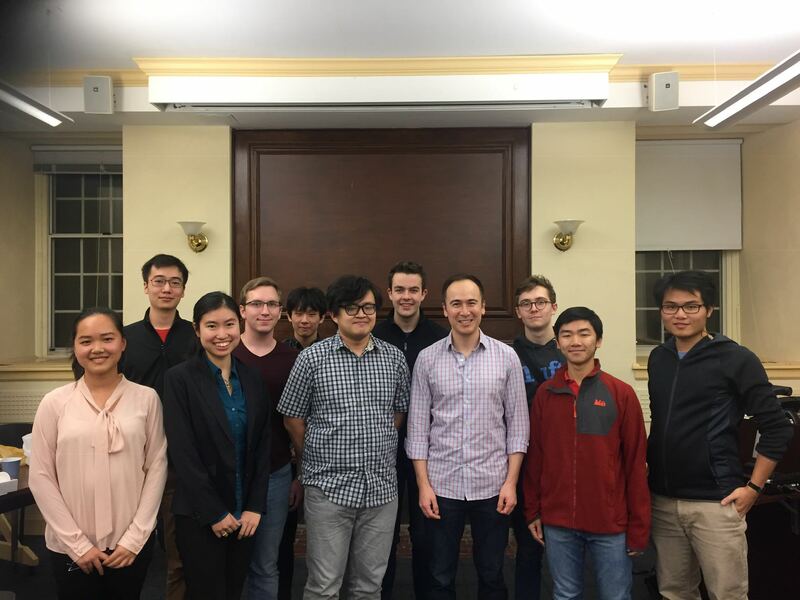 Earlier this month, we held our annual China-U.S. Symposium on April 13th-14th. This symposium was composed of four panels, a lecture, and a keynote speech by Singaporean Ambassador to the United States Dr. Ashok Kumar Mirpuri. Following a riveting panel entitled “A Nuclear North: What Korea Means to Sino-US Relations,” SURGE presented the David Rawson Memorial Lecture by Dr. William Overholt. The David Rawson Memorial Lecture honors the life of Tufts Class of 2007 alum David Rawson whose life was tragically cut short the summer after his graduation. Previous David Rawson Memorial Lecturers include Ambassador J. Stapleton Roy and Dr. Victor Cha. Dr. William H. Overholt is the ​President of Fung Global Institute, a Senior Research Fellow at John F. Kennedy School of Government, and the Principal of AsiaStat LLC. Prior to his current endeavors, Dr. Overholt has also worked in the private sector, having worked in investment banking for 21 years. Dr. Overholt has also published numerous books, with his most recent work titled “China’s Crisis of Success” (Cambridge University Press, 2017). This recent publication inspired Dr. Overholt’s lecture at the China-U.S. Symposium in which he shed light on China’s economic condition and the challenges China and the U.S. may face in the future. Dr. Overholt opened the lecture recounting his process of writing “The Rise of China” (W.W. Norton, 1993) which was the first book to predict China’s success in the realm of economics and geopolitics. Dr. Overholt drew upon his knowledge of Asian economic development when comparing present China to South Korea and Taiwan’s miracle economic rises before inevitably facing difficulties including massive debt and powerful political interest groups asserting their will. Following this comparison, Dr. Overholt detailed how former Premier Zhu Rongji’s political and economic reforms were initially disliked, but later appeared to be prescient in the era of former General Secretary Hu Jintao and Wen Jiabao. Sharing his insight into the significance of current General Secretary Xi Jinping’s crackdown on corruption, Dr. Overholt expressed his view that these are not the actions taken by a confident leader, but instead that they display the instability in China that could create conditions for negative outcomes such as potential capital flight. Following his lecture, Dr. Overholt drew upon his wealth of private sector and academic experience when answering undergraduate and visitors’ questions. When asked by a student his views on Chinese investment in African nations and concerns of neocolonialism, Dr. Overholt spoke on his views of Beijing’s One Belt One Road initiative as a net positive for nations partnering with China, while also drawing attention to the potential threat of large debt accumulation by partner nations. SURGE would like to once again thank the Institute of Global Leadership and the rest of the Tufts community for its invaluable support. Surge concluded its fall speaker series with a sharing by Professor Fewsmith on the 19th CCP National Party Congress. A special thanks to Professor Fewsmith and everyone who came to this event and we look forward to more great speakers in the spring! The 10th Annual China U.S. Symposium came to a close Saturday following our Keynote Address delivered by Dr. Lyle Goldstein from the US Naval War College. A special thanks to all of our members who organized the event and to all of our speakers who helped make this symposium so memorable. Dr. Victor Cha, Senior Adviser and Korea Chair, CSIS, and Professor at Georgetown, for his David Rawson Memorial lecture addressing the balance of power in the South China Sea and the future of U.S. Chinese relations in the region. The Cultural Panel consisting of Simon Lang from the Mercator Institute and Professor Wayne Wenchao He from Rhode Island University for their comparison of education and in the United States and China and its possible effect on future relations between the two countries. The Business Panel composed of Professor Saikat Chaudhuri from the Wharton School of Business, Senior Lecturer Sharmila Chatterjee from the Sloan School at MIT, and Mark Sullivan from the Boston office of International Trade and Development for their examination of the connection between the U.S and Chinese economies. The Regional Panel comprised of William Wise from the John Hopkins Southeast Asia Studies Program, Avery Goldstein, a Professor of Political Science at the University of Pennsylvania, and Shihoko Goto, the senior Northeast Asia associate at the Woodrow Wilson Center for their analysis of the current political climate in the Western Pacific and the responses from countries around the region to the rising power of China. The Security Panel consisting of Commander Mike Dahm, Marvin Ott, an Adjunct Lecturer from Johns Hopkins University, and Mathew Weinburg from Booz Allen Hamilton for their examination of cyber security and espionage in the modern era and their insight into events in the South China Sea. Welcome to the 9th Annual China-U.S. Symposium. This two-day academic conference is held every spring at Tufts’ Fletcher School of Law and Diplomacy. Our goal is to foster positive relations between China and the United States, cultivating cooperation and understanding between students and experts from different backgrounds and cultures. We believe in building on the unique crossroads of ideas, experiences and people that characterize Tufts University to promote an atmosphere of deep analysis and critical awareness. Our theme this year is “Moving Forward,” and the primary aim of this framework is to tackle issues that Sino-US relations experts will be debating on for years to come, namely cybersecurity, Hong Kong and the Umbrella Revolution, International Business and Investment, as well as the growing pollution problem. This year, the Symposium includes four panels, four breakout sessions, and two keynote addresses. Our speakers have traveled from across the country and across the world, and include policy-makers, practitioners, and academics who specialize in a variety of areas that are critical to China-U.S. relations. Preparing for this Symposium has been an eight-month long effort involving dozens of students, professors, and members of the Tufts administration. Our success is due to the pure dedication of each of these individuals, and we sincerely thank everyone who has played a role. Enclosed in this booklet you will find descriptions of each of our events, biographies of our speakers, and more information about the Symposium and our sponsorship. In the Culture Event hosted in December, SURGE conducted a discussion about the former One-Child Policy in China. We were honored to have Ms. Melissa Ludtke, an award-winning journalist and Yankee Quill Award winner, as our guest speaker. During the event, Ms. Ludtke talked about her book and education series: Touching Home in China, which is a project on the influence of the One-Child Policy, and the experience of her own beloved daughter Maya who was adopted from China. In addition to Ms. Ludtke, Jiahe Chi, a Chinese senior and former member of SURGE, shared his insights on how the policy changed the lifestyle and perspectives of urban and rural populations in China.